Going out for brunch always feels like a treat, but when’s the last time you did it properly? Forget standard bacon sarnies and builder’s tea – I’m talking eggs royale with smoked salmon, or a BLT with extra trimmings, plus coffee, cocktails and something sweet. 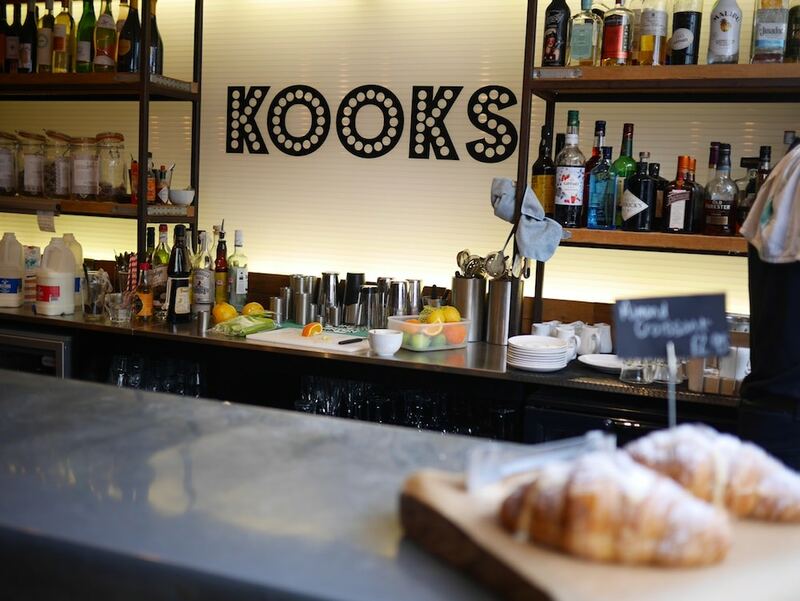 Long, sociable brunches are all the rage in Australia and, three years ago, Rebecca Monk brought the concept to Brighton when she opened Kooks Brighton. Cooler than a café, and less formal than a restaurant, it serves all-day brunches and proper lunches, along with deserts, cakes and a big range of drinks. The on-trend décor is all filament bulbs and local artwork, with canary yellow stools at the cocktail bar. Natural light and a relaxed feel makes it the sort of place you want to hang out. And if you sit outside, you’ll find yourself in the beating heart of Brighton’s North Laine. Having been for a morning jog, I arrived feeling hungry and ready to feast. As did my friend Ella, who was recovering from a big night out. We were well overdue a catch-up, and brunch seemed like an ideal opportunity. For me, a great brunch starts with great coffee, and Kooks can certainly deliver. 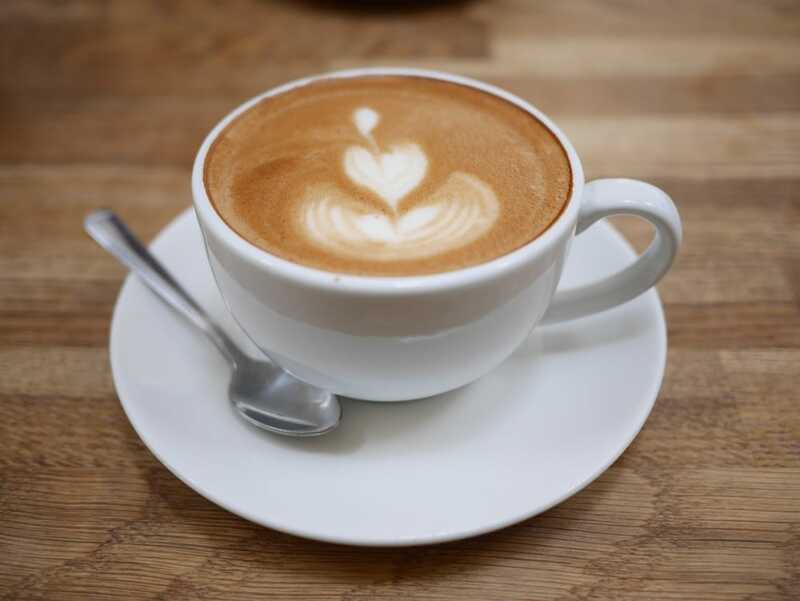 Made with Brazilian beans, roasted in Italy, and sourced from Brighton company Café del Golfo, my oat milk cappuccino was smooth with a rich aroma. Meanwhile, the table next to me were enjoying beautifully layered lattes. Coffee snobs rest assured – the people at Kooks know what they’re doing. 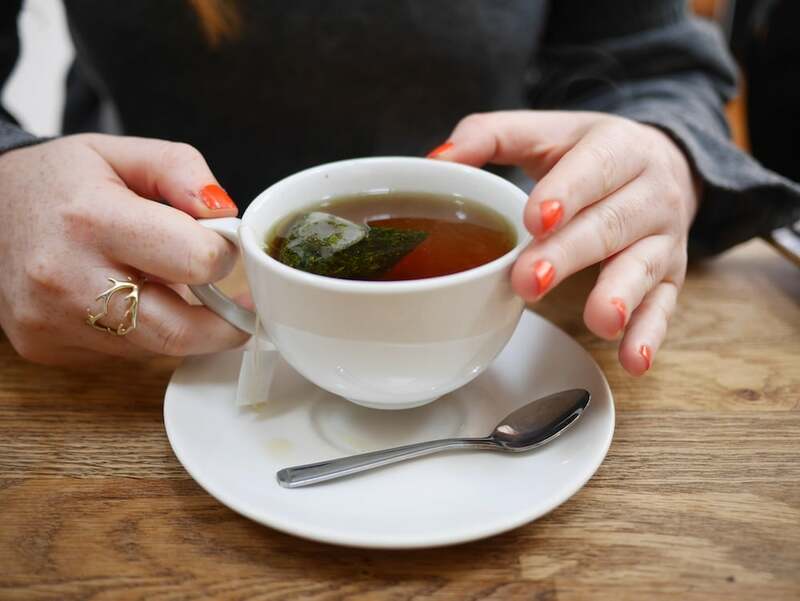 Opposite me, Ella was soothing her hangover with ‘Cleansing Rockefeller Peppermint Tea’ from Metrodeco in Kemptown. Just the thing for a sore head. 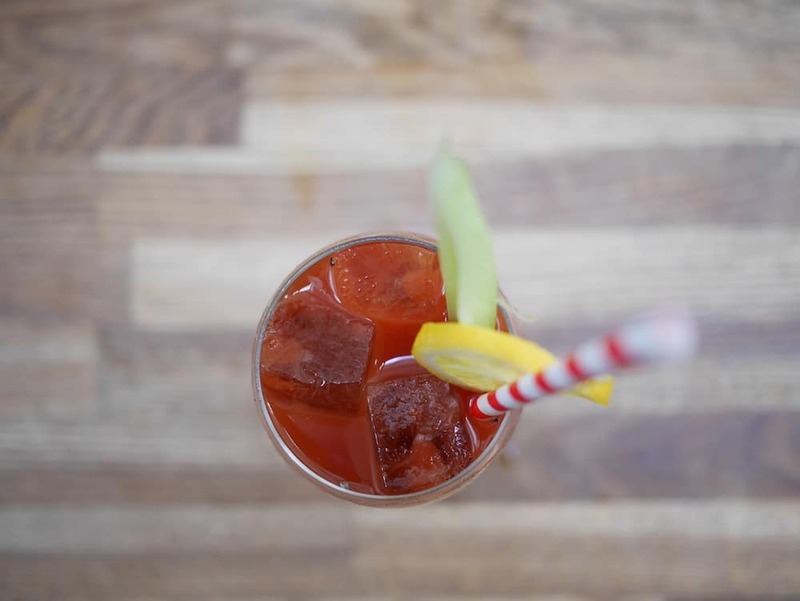 Featuring classics with ‘kooky’ twists, the brunch menu has all bases covered: there’s everything from full English with white pudding, to avocado smash with feta, mint and chilli. And you can add extras on the side, like chorizo, halloumi, or sauerkraut. Ella chose eggs benedict, Kooks style. 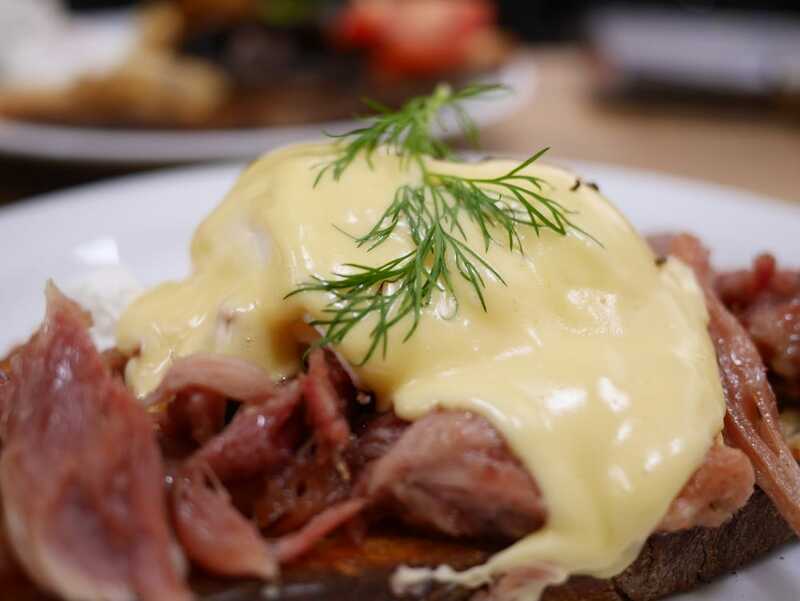 One of their signature dishes, they’ve elevated this classic with maple-glazed ham hock, free-range poached eggs, and superb sourdough toast. Tasting her first mouthful, Ella closed her eyes, fork still in mid-air, and grinned. Outrageously tender, the pulled ham was both sweet and salty, with a mouth-watering flavour you’d be hard-pushed to recreate at home. Her eggs were topped with an unctuous dollop of hollandaise that was rich, creamy, and finished with dill. It would be easy to over-do this dish, but Kooks know just when to hold back. Portions are generous but, providing you’re hungry, you won’t feel like you’ve overdone it – it’s indulgent but not overly so. 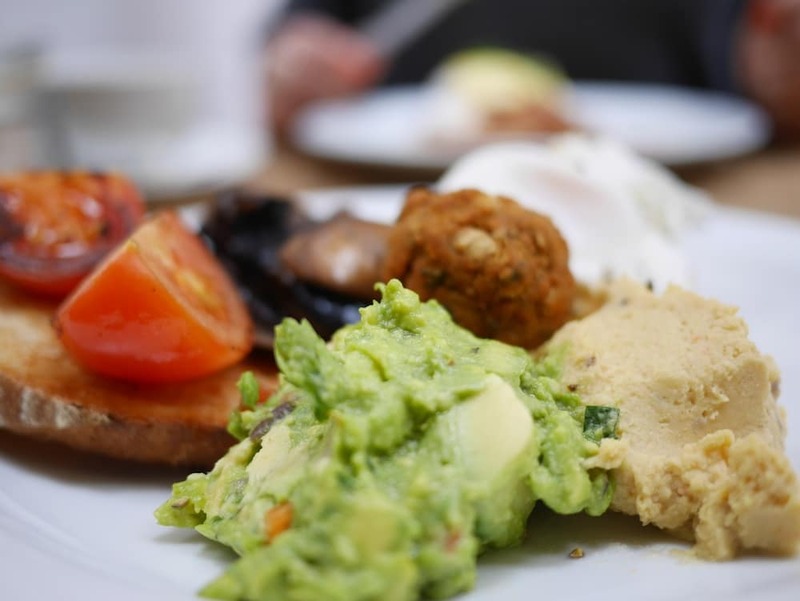 I opted for the biggest of their veggie breakfasts – a smorgasbord of falafel, halloumi, guacamole and more. My sourdough toast was both crisp and chewy, my poached eggs were perfectly oozy, and my chargrilled halloumi had a subtle squeak. As we chatted, I dipped, slathered and crunched my way through rustic hummus, grilled tomatoes, and crispy spiced falafel with whole chickpeas. My Portobello mushroom slabs were thick and juicy, and my chunky guacamole was flavoured with fresh mint and lots of lime. For a ‘proper’ brunch, cocktails (or mocktails) are obligatory. Ella’s Bloody Mary arrived in an oversized wine glass with a shard of celery. 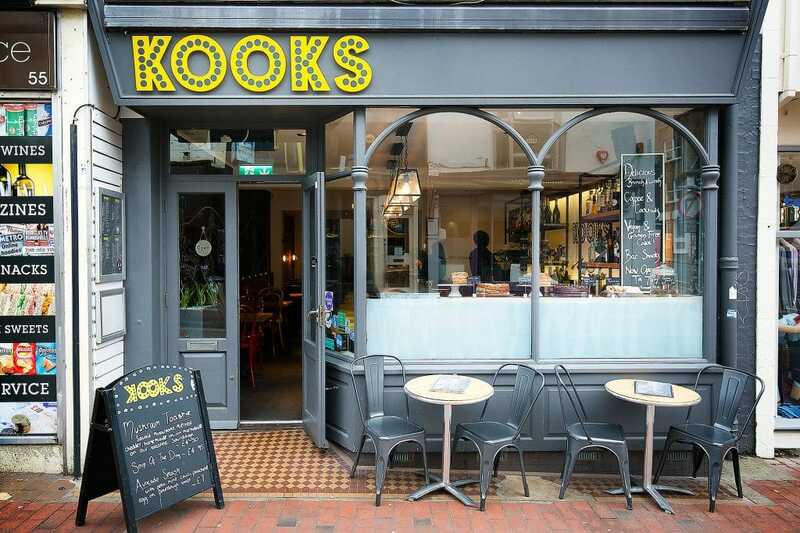 Kooks Brighton give this morning classic extra oomph, with spices from The Spice Shop across the road. Served with lots of ice, it was the wake-up kick Ella needed. 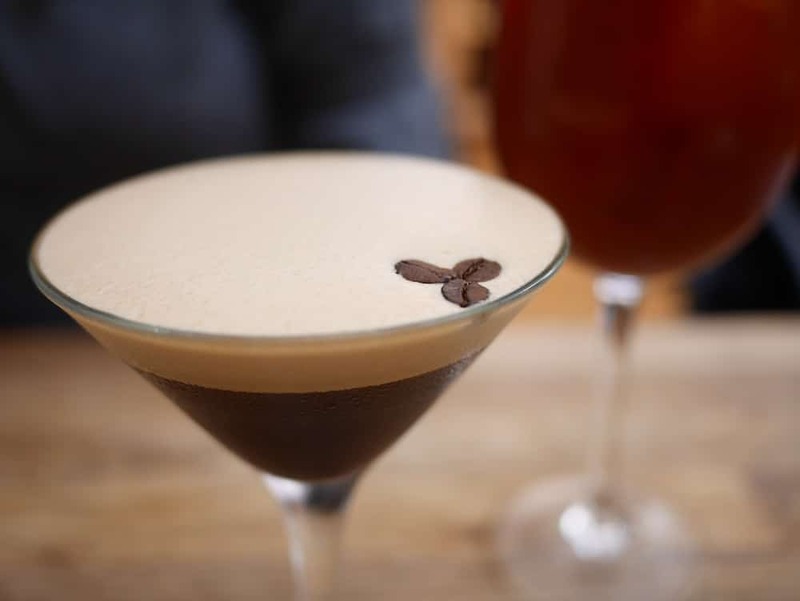 My espresso martini had a delicious frothy head and was made with that same velvety-smooth South American coffee. Along with vodka and Kahlua, the Kooks version includes Frangelico (a hazelnut liqueur), which gives it a well-balanced sweetness. Believe me, it’s good. By now we had drifted into early afternoon, so we felt justified in sharing a slice of cake. Among the options were pumpkin and caramel, vegan lemon and thyme, and gluten-free orange and almond. 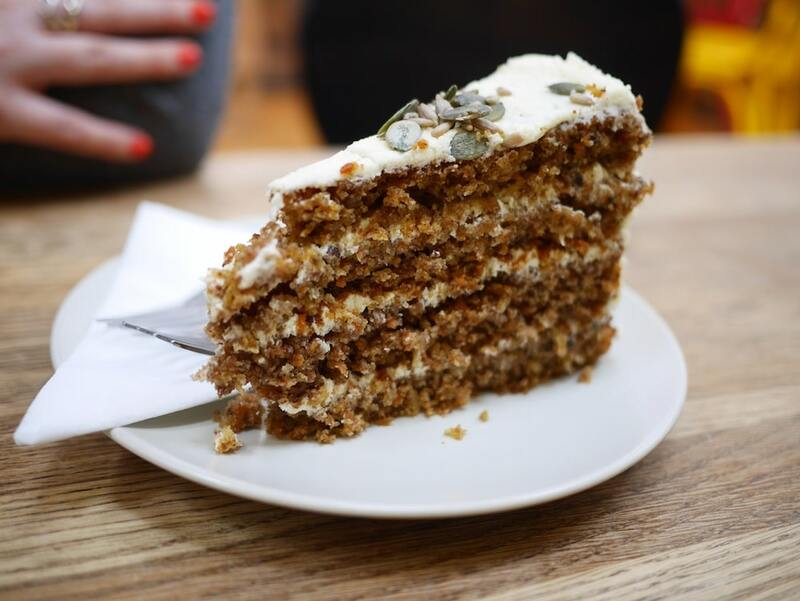 We settled on a slice of vegan carrot cake, which was sweet, moist and multi-layered. 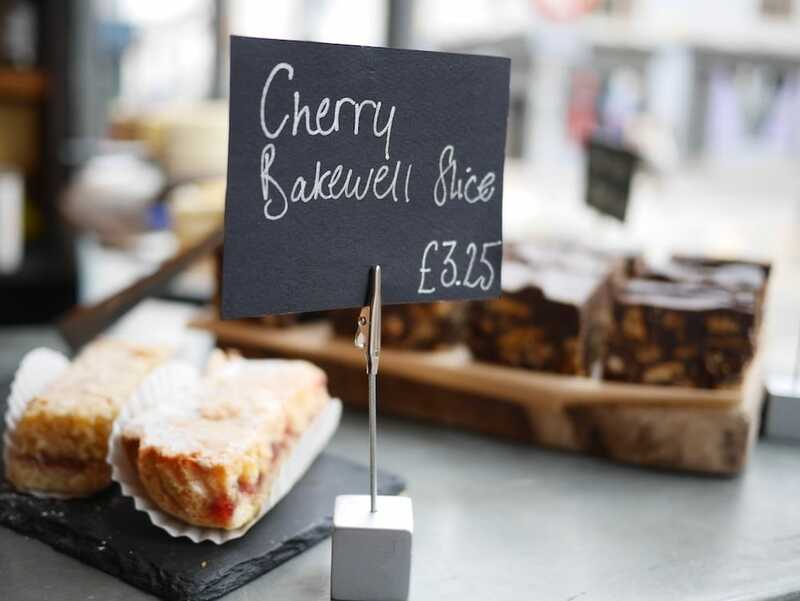 With its laid-back atmosphere, welcoming staff, and all-day menu, we could easily have stayed longer – there’s no clearing away of breakfast menus to make you feel rushed here. 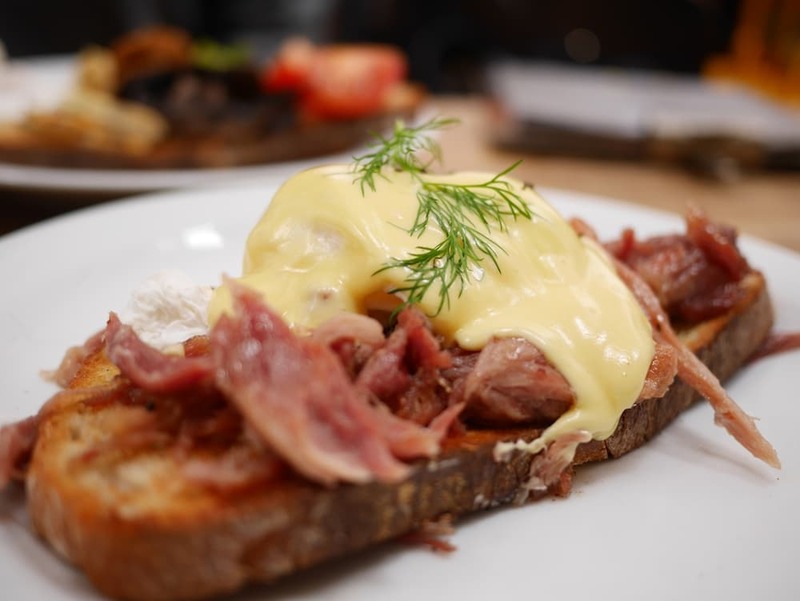 As we thanked the staff and emerged arm-in-arm into the North Laine, I realised how good it felt to take time out, spend quality time with a friend, and linger over a brunch that’s feels a little bit special. My advice? 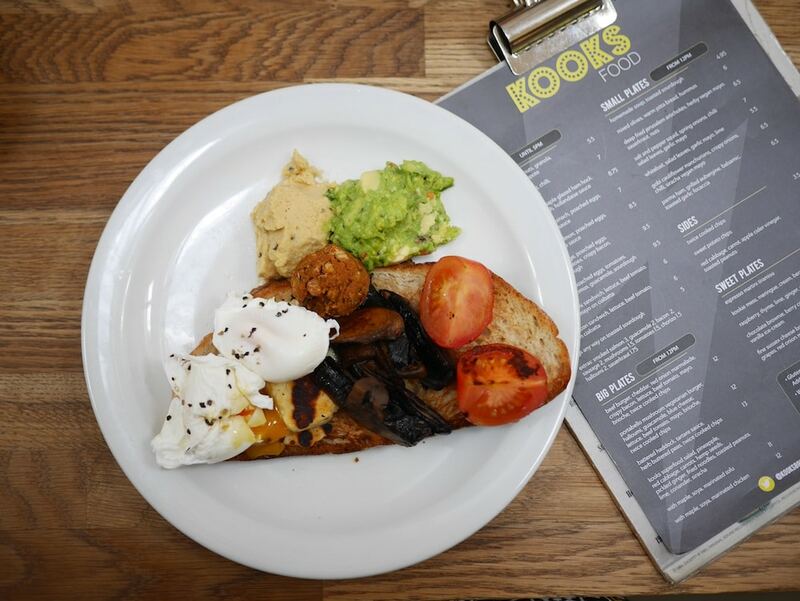 Set a morning (or more) aside, head to Kooks Brighton, and do brunch properly.